When we think of computing the external aerodynamics on a passenger car, we often assume a super-computer and months of grid generation are necessary for the task. 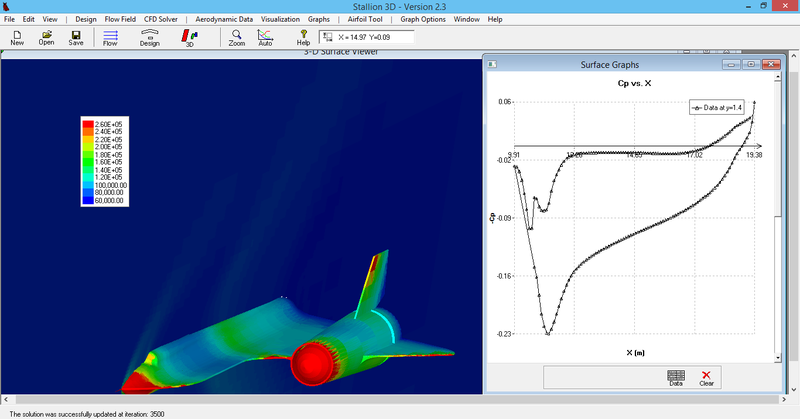 However, Stallion 3D with HIST (Hanley Innovations Surface Treatment) can accomplish the task on your ordinary Windows Laptop or PC running 7, 8 or 10. DrivAer model solution using Stallion 3D - RANS solver. 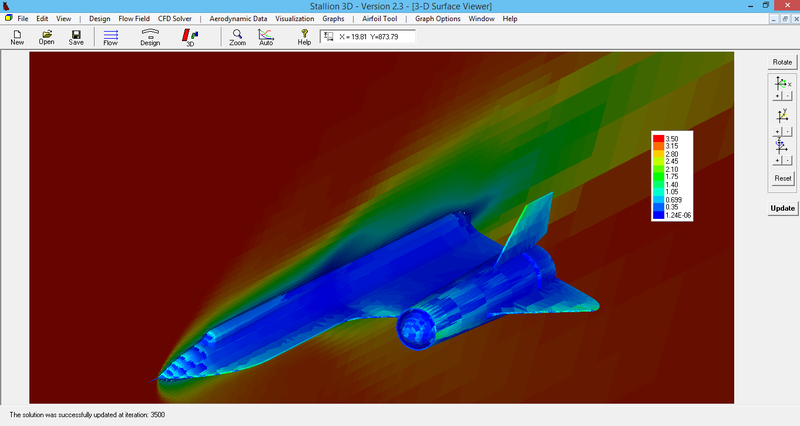 Stallion 3D makes no simplification in the physics of the problem. Instead, it utilizes the computation power that is hidden in your personal computer (64 bit & multi-cores technologies). The software simultaneously solves seven unsteady nonlinear partial differential equations on your PC. Five of these equations (the Reynolds Averaged Navier-Stokes, RANS) ensure conservation of mass, momentum and energy for a compressible fluid. 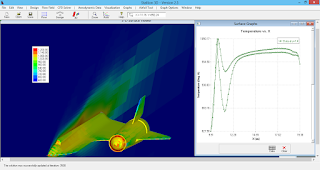 Two additional equations captures the dynamics of a turbulent flow field. 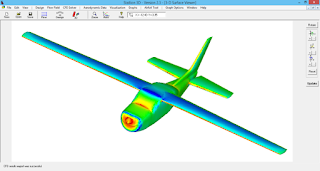 Stallion 3D does not require a grid from the user because grid generation is automatic. Also, it is not necessary to defeature the geometry. This saves weeks or even months in the solution of automobile aerodynamics problems. 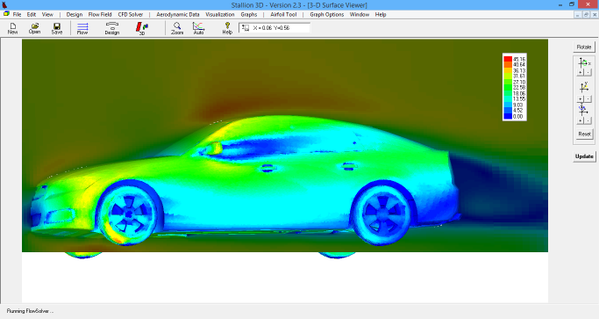 The unique CFD technique employed by Stallion 3D gives users a tremendous advantage over other methods because they can analyze more cases in a shorter period of time. 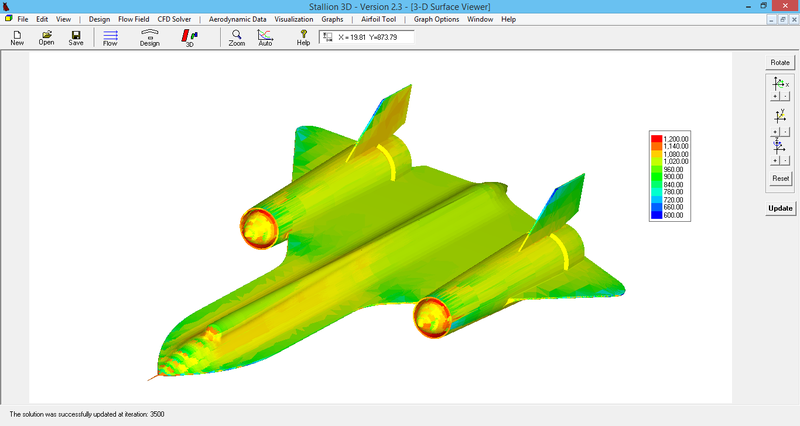 The following video shows how Stallion 3D solves a difficult problem. In the problem, the software accurately computes the drag on a passenger car. 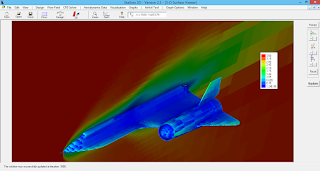 Accurate computations of drag is necessary for sizing engines, fuel systems and designing fuel efficient vehicles. More information can be found at http://www.hanleyinnovations.com or telephone us at (352) 261-3376. 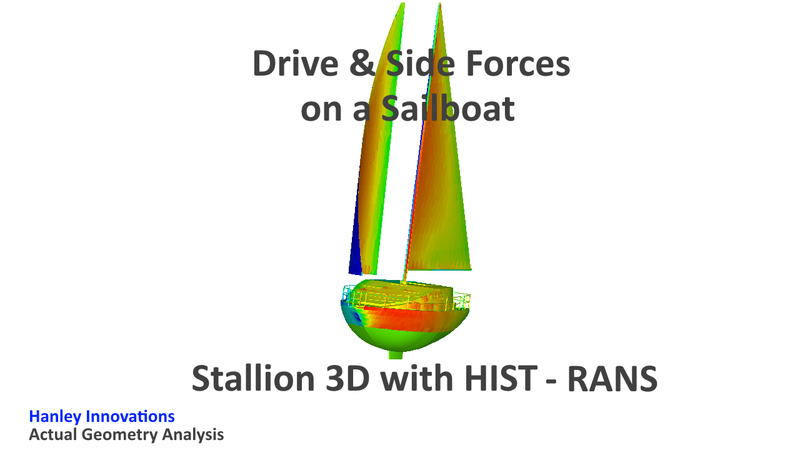 Stallion 3D with HIST (Hanley Innovations Surface Treatment) features automatic grid generation and high accuracy for arbitrary 3D geometries. Stallion 3D features solutions of both the 3D compressible Euler and Navier-Stokes equations. 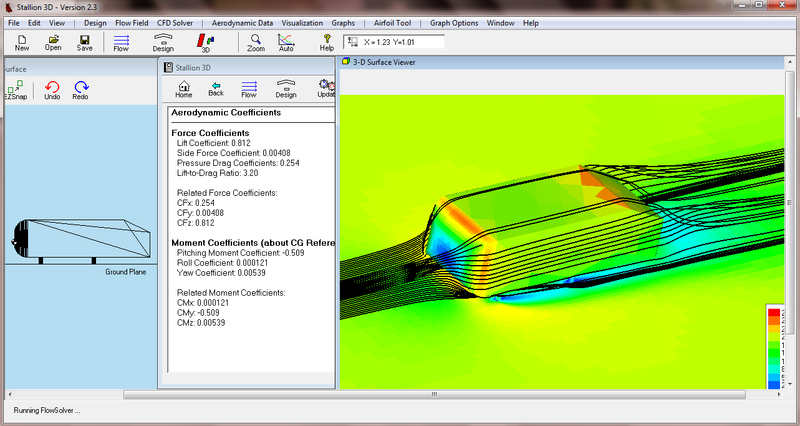 The compressible Euler solver (for low speed flows) was used to analyze the Ahmed body geometry for validation of solutions for road vehicles and race cars (F1 for example). 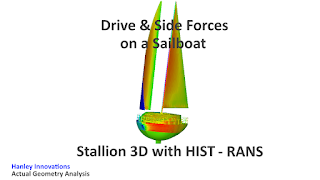 Stallion 3D has the ability to read in a complex geometry and provide a quick solution on an ordinary PC or laptop computer under Windows XP, 7 or 8/8.1. With 700,000 computational cells, the Euler solver computed a pressure drag of 0.254 after 15,000 iterations. This is very close to the experimental results of 0.260.